So we are going to start precisely with the latest PHP versions starting precisely by PHP 7.0.17 which has bunch of bugs being fixed, nothing really unusual except maybe for this one, this bug here that mentions incomplete post does not timeout but is passed to PHP. This means that before this bug was fixed PHP was not handling for instance when maybe a request was aborted but the server did not realize that probably the user canceled the request or there was a disconnection in the user network, probably during an upload because this is for a post request and even after an eventual timeout period PHP was getting the request as if the request actually completed. So this is maybe an interesting thing that handled, yes there is nothing for you to to change in your code. Now you need to anticipate incomplete post requests, kind of know, file not uploaded fully maybe, I really don't know how they are handling it internally. I think this means that if the post failed it will not be passed to PHP after a timeout. That's what I assume. Well, anyway this is just one thing and another thing is more or less the same bugs were fixed in PHP 7.1. The next thing that we are going to comment is proposing a new cache key for for streams operations. This means that PHP will be able to handle code that is probably being loaded from PHAR archive and if the code is being loaded multiple times the caching mechanism for the opcode cache will already be able to figure that it is the same PHAR archive that is being loaded. Next we are going to talk about is_string which is a proposal for having a sort of validation for converting and serialized objects into new objects, so is_string would be a function that would allow to validate if a string really has a valid object of a certain class. Next we have a discussion about type variants like for instance a class that receives a parameter of type rectangle it would also be able to accept square as a variant of rectangle because it would have a function named __match that you just confirm that it would be really a square but it would still be a rectangle. Next we have a proposal here to have a variant of the range function that will act like a generator. Generators are those things that are a bit abstract to explain but basically they return sequences of values that would allow you to treat those sequences and if you they were arrays being iterated. OK we'll get back to this to explain it better during this podcast but next we are going to talk of the proposal of named parameters that somehow got on hold a few years ago, having named parameters for functions somehow similar to the Python language. 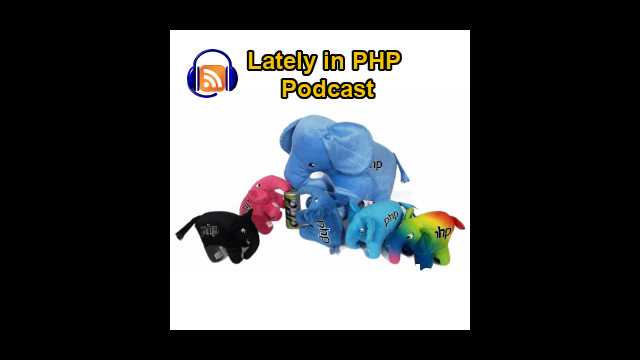 Next we are going to talk about the plans for releasing PHP 7.2 because the PHP 7.2 also is scheduled to happen around June, so they are already preparing to elect people that will take care of this release because we are getting closer, we are already only two months away from that date. Next we are talking about a discussion about directory separators in paths of files and directories on windows because windows also accepts the forward slash like in Linux. There is a discussion about this topic to handle it better. Finally we will just comment on a couple of articles posted on PHP Classes site blog, one about using data mining and business intelligence methods to improve the visibility of PHP packages, PHP articles, projects in general that using basically search engine optimization techniques based on data mining and the business intelligence to improve the visibility of these pages on Google for instance. Finally we just talk briefly about an article that will explain about OpenID Connect and the way to implement it with OAuth 2 client but it would also help to implement those so called social login functionality that is seen in many sites that allow you to login in a site without having to actually create an account for going through the whole process to register just benefiting from accounts that you have for instance in Facebook or Google something else.